Well, what say we get this shindig going, okay? I have finally reached a point where I can begin sharing my Salem 2012 disaster, er, trip with each of you. Oh and let me tell you, it was one thing after the other with this trip and it was a disaster up until the very moment I landed in Houston when I came back home. It was good to the last drop, as they say! So to begin, I have included a photo here of a lovely lady that I encountered in the cemetery on Halloween. I can say that during this trip, my photography was exceptional. Everything I captured turned out and I was quite pleased! My angles and composition were right on for a change and if it hadn’t been for that, this trip would have been a bust! But now, don’t let me discourage you for I still love Salem and, yes, I’m already planning my next trip. You know, every trip can’t be perfect but that doesn’t change me not one bit. So here, we shall begin. There’s loads of black humor here and I wouldn’t have it if everything went perfect, right? 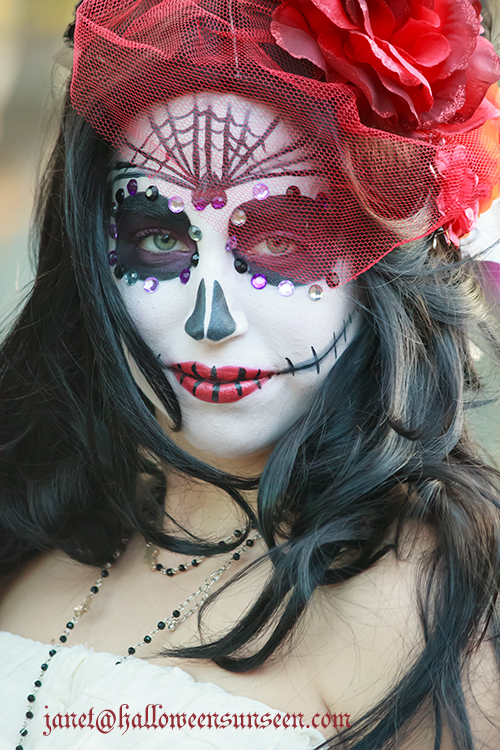 So, please meet the lovely lady in the Old Burying Point cemetery in Salem on Halloween day 2012. This entry was posted on April 1, 2013 at 3:51 am and is filed under Salem with tags 2012 Salem Trip, Halloween, Old Burying Point Cemetery, Salem. You can follow any responses to this entry through the RSS 2.0 feed. You can leave a response, or trackback from your own site.